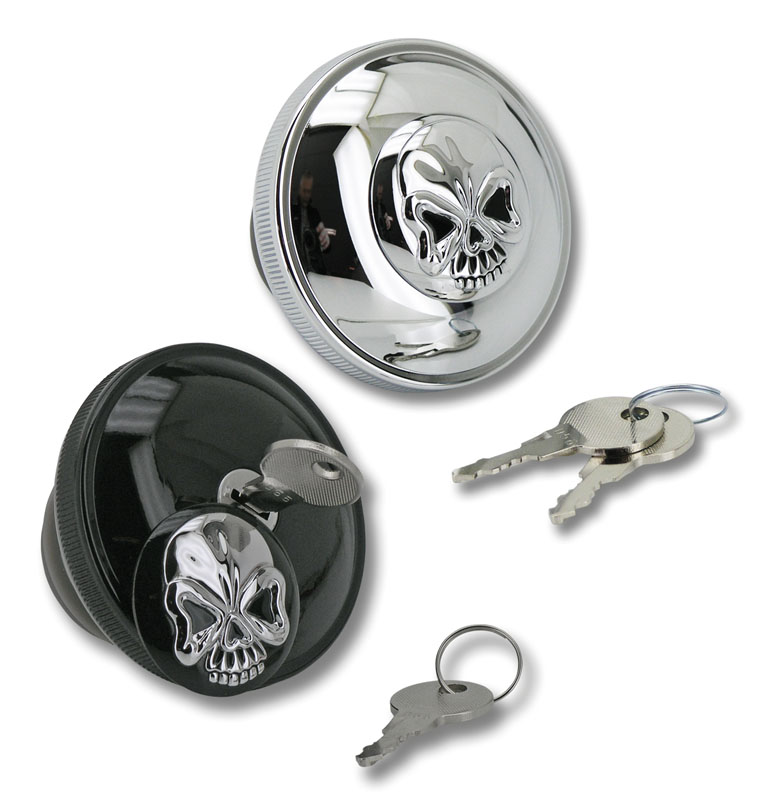 Great looking locking gas caps for Sportster, Big Twin and Twin Cam models. Feature a chrome and black finish. Locks are hidden by the skull that you can simply turn away. Gas caps feature a knurled perimeter to ease opening and closing. Vented gas caps fit on Sportster as well as on the left gas tank bung on most Big Twin and Twin Cam models. Non-vented gas caps fit on the right gas tank bung on most Big Twin and Twin Cam models, but can not be used to replace the fuel gauge. Gas caps are sold each at your Zodiac dealer, suggested retail price starts at 35,00 euro's. Satudarah MC moet clubhuis in Steenwijk verlaten. You can WIN a 2014 Indian Chief Vintage! 10 Mei Bikersprotest - Join the Caravan! „Rick Rod“ stainless steel handlebar! Can Technology Stop Texting and Driving?